This story is part of a series from ISU News Service about CYstarters, Iowa State’s startup accelerator that helps students become entrepreneurs. Find the original at ISU News Service. AMES, Iowa – After a 10-week intensive accelerator program this summer, a new cohort of Iowa State University student entrepreneurs will come up for air with a plan to move their startup businesses forward. Nearly three dozen applicants were narrowed to 15 startups made up of 20 ISU students and recent alumni for this year’s CYstarters cohort. It’s the third summer of the 10-week accelerator, coordinated through Iowa State’s Pappajohn Center for Entrepreneurship. They begin their journey the week of May 21, two months after each gave 10-minute pitches to a panel of judges at the ISU Economic Core Development Facility. Each startup heads into CYstarters at a different point. Some are still ideas; others have prototypes. Mikaela Stanley, senior in industrial design and marketing from Madrid, had every detail laid out when she delivered her pitch of Woof Rider, a restraint system she designed to safely secure dogs in cars. Target market, competitors, revenue stream hypothesis. She had an answer for everything. Woof Rider would clip a dog to the car seat similar to a leash, while still allowing the dog to move and see outside. Stanley, who’s currently a member of the ISU Startup Factory’s fourth cohort, developed a prototype of this idea for her senior thesis in industrial design. Stanley says she was surprised by how much support she received – and the need for her idea. Stanley will bring the skills she’s learned in Startup Factory to CYstarters, during which she hopes to build more community support and figure out which route Woof Rider should take. “CYstarters will give me the ability to sit down and work on Woof Rider as a full-time job, which was an opportunity I just couldn’t pass up,” she said. Max Gangestad, a December graduate in agricultural engineering from Clarion, is now a bioprocess engineer at Gross-Wen Technologies. Gross-Wen, a member of the Startup Factory’s inaugural cohort, has seen tremendous success with its patented algal wastewater treatment technology. Gangestad is heading into CYstarters with a new way to use that technology, called GWT Micronutrients to Algae. 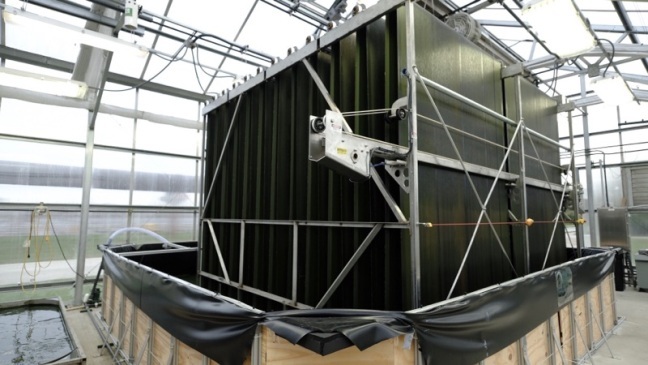 “Instead of being the byproduct, algae will be the product,” he said. “In many supplements and feed additives, the nutrients we’re given aren’t bioavailable, meaning they pass through and we’re not getting those nutrients. GWT Micronutrients to Algae would work with the multivitamin and supplement industries. Gangestad said these products could be marketed to people who take the time to research everything they consume. Algae supplements are on the market now, but Gangestad says GWT Micronutrients to Algae’s would differ because they would have higher nutrient concentrations. Cody Alexander, Nick Hyla and Ben Schwarz merged their initials to create CNB Games, a monthly subscription service to single-story boxes and campaign boxes for tabletop gamers. 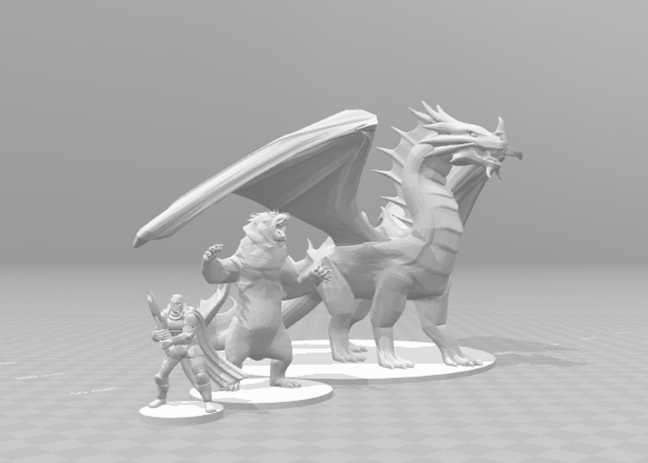 The CNB Games team created renderings of the miniatures they will 3-D print for tabletop games such as Dungeons and Dragons. Rendering provided by Ben Schwarz. All three are seniors in industrial design. Schwarz, from Bartlett, Illinois, heard of CYstarters through a management class he took this semester. The team started brainstorming how their love of tabletop gaming – Dungeons & Dragons, in particular – could turn into a business idea. It clicked when they came up with a plan to create monthly subscription boxes for the D&D community. They’ll use their expertise in 3-D printing and modeling to create miniatures – figures based on characters in the game – and story lines that will be bundled in monthly subscription boxes. The team plans to use their time in CYstarters to identify their customer base, build advertising and create supporting materials, with the hope that they’ll have one or two boxes done by the end of the 10 weeks. While another subscription box business exists, the team says it includes more collectors’ items, whereas the minis and story lines in CNB Games boxes will be interactive.